Friends are the most important relatives in our lives. When you have bestfriend by your side, you have the whole world by your side. Its the power of friendship. When you have one true friend, you have all thats needed in this life. 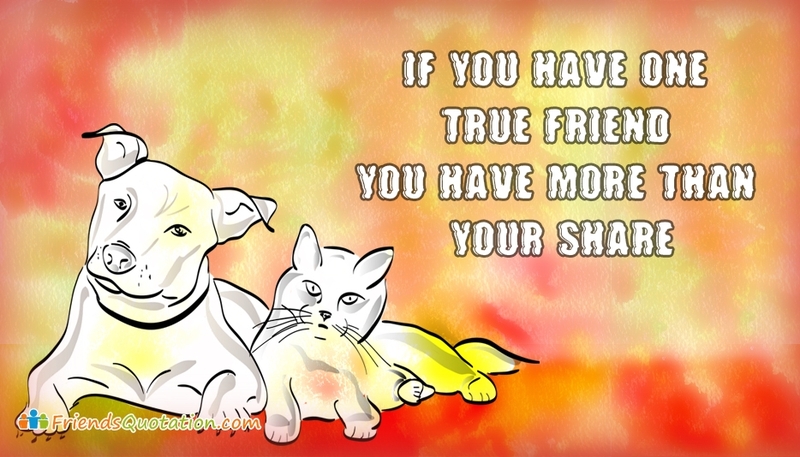 Thomas Fuller expresses this message of friendship with the words "If You Have One True Friend You have More Than Your Share". Love Is Friendship, Friendship Is Love.